Earlier this week, two foreign journalists for Vice working in southeastern Turkey were arrested, raising concerns about the journalists’ safety and security. In a dark reminder of the “Crypto Wars” of the 1990s, a Turkish official stated yesterday that the main reason that these journalists were detained is that they use encryption. This morning, the news surfaced that the journalists have been released and are free to leave the country, although the charges against them have not been dropped. A local translator who had been working with them remains in custody. This incident raises serious issues for digital rights and digital security, and could cause a powerful chilling effect for freedom of expression — not just in Turkey, but in other conflict-prone regions around the world. Turkey shares borders with both Syria and Iraq, and is affected by the violence and chaos caused by the Islamic State of Iraq and the Levant (ISIL) in multiple ways, such as by the refugee crisis and problems with border security. At the same time, the country faces complex internal dynamics such as re-intensifying violence by — and against — the outlawed Kurdistan Workers’ Party (PKK), and the failure to form a coalition government following the June elections, which led to the re-run of elections in November. Is censorship in Turkey ratcheting up? 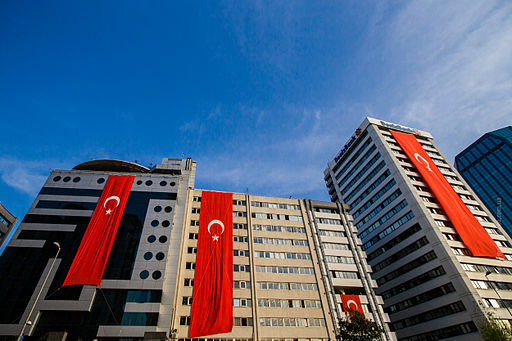 Over the years and even now, the Turkish press has faced government intimidation, both at the journalist and media mogul levels, evidently for reasons such as political manipulation or economic rent. However, the efforts of government censors, including Turkish officials’ harsh disapproving comments about foreign news outlets, appear to have intensified over the past few months. Throughout the summer, there were several instances when local news agencies were censored online, and the government also requested that Twitter accounts of journalists reporting from the conflict-prone region be withheld. Turkey is a signatory of the European Convention on Human Rights as well as an E.U. candidate country, yet it has broad and vaguely written anti-terror laws and even specific gag orders that directly limit journalists’ ability to cover these sensitive issues. Journalists in Turkey are exposed to significant legal liabilities, even to the possibility of terrorism charges. Other journalists in Turkey opposed and ridiculed this “military grade” claim, since using such encryption software is common practice for journalists. Notably, it is also deemed highly advisable by human rights experts around the world. As a country that has signed and ratified the International Covenant on Civil and Political Rights, Turkey is obliged to protect the rights to privacy and freedom of expression, and should heed this expert advice. Turkey is among the countries tracked by the CPJ in its 2014 prison census for journalists. The arbitrary detention of journalists must end. Not only do these arrests restrict the reporters’ liberty, they are also an attack on the human right to freedom of expression — including access to information for the global audience. Instead of restricting the use of digital security tools such as encryption, governments should promote them as fundamental for the enjoyment of human rights online. It appears that journalists and other internet users in Turkey are more at risk than ever. We hope that the arrest of journalists for protecting themselves online is not just the tip of the iceberg in a campaign against encryption and user rights. If so, we’re prepared to fight back every step of the way.